United Way of Southwest Wyoming is excited to announce the expansion of the Community Diaper Bank into Uinta County beginning May 2018. 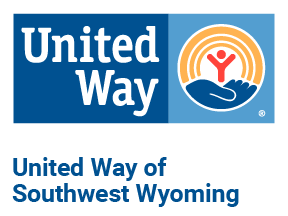 The Community Diaper Bank was established under United Way of Southwest Wyoming’s (UWSW) Basic Needs Initiative, to help families struggling to meet their child’s diaper need by providing a reliable source of diapers for low income families. It has been brought to our attention by several organizations in Uinta County, that purchasing diapers are something that families have to choose between when their funds are low. To be defined as experiencing diaper need, a family falls into at least one of three statements: the household doesn’t have enough diapers; it finds it difficult to afford diapers; and it frequently finds itself running out of diapers. In 2017, the average household in need fell short of 19 diapers each month and parents in diaper need missed work or school four days a month because they didn’t have enough diapers when dropping their children off at childcare or early education programs. UWSW is expanding the Community Diaper Bank into Uinta County through a partnership with Uinta BOCES #1 who is providing in-kind storage and office space for distribution. Families in need can receive one package of diapers per child each visit. This is a free service for those families experiencing financial hardship. “Families need diapers and with no government assistance programs for diapers, the Community Diaper Bank is a way the community can help,” stated Shelley Richno, Community Impact Coordinator, United Way. We are working with Uinta Public Health and other area non-profits to provide outreach and referral to those families in need. Currently, 22% of children in Uinta County are raised in single parent households and 14% live at or below poverty. We know that to move families toward sustainable economic improvement, they must have a reliable source of diapers. We are looking at expansion into the Bridger Valley area, but until then families can receive diapers at the Evanston BOCES location on scheduled distribution days. Distribution begins Tuesday May 1st, 2018 from 12 pm – 5 pm at our office in BOCES #1 located at 1013 W. Cheyenne Dr., Evanston, WY and then on the first Monday of the month thereafter.